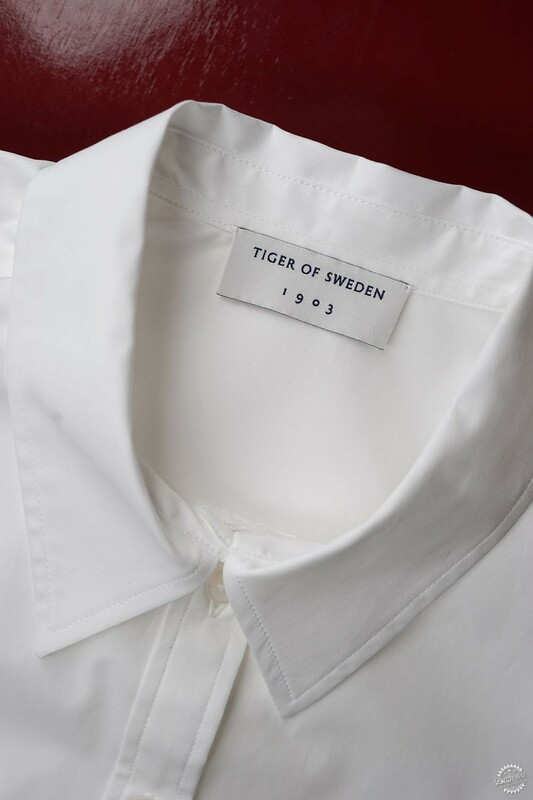 Antwerp- and London-based design studio A New Archive has unveiled a new logo and word mark for Sweden's oldest tailoring company, as part of a brand overhaul following the arrival of creative director Christoffer Lundman. 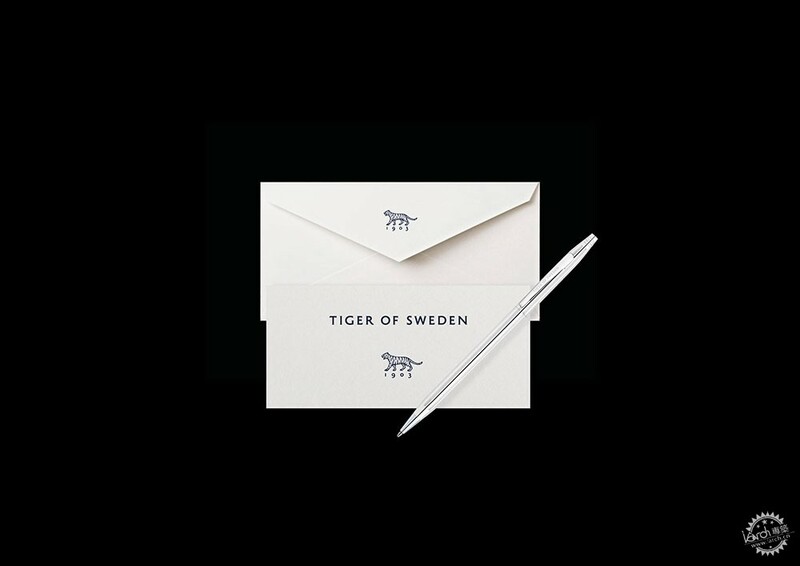 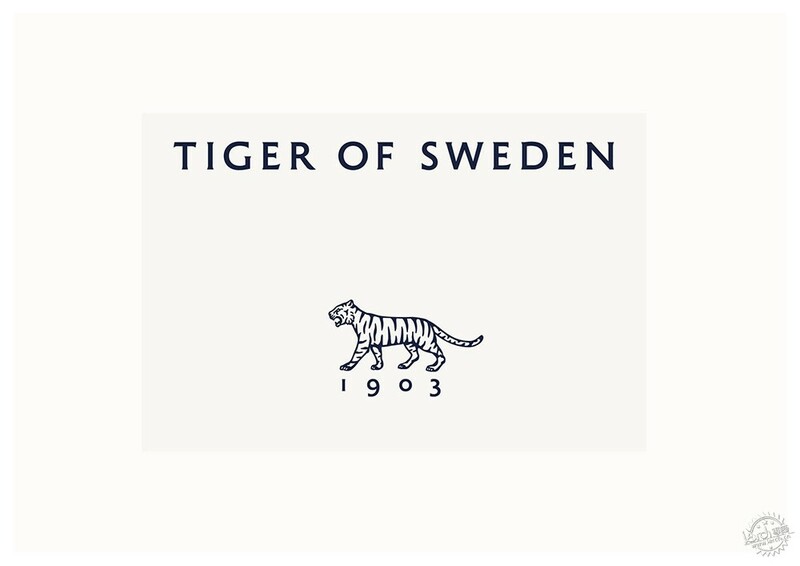 With the help of A New Archive, Tiger of Sweden has designed an illustration of a walking tiger to replace the company's former logo – a silhouette of a tiger's face in a black square. 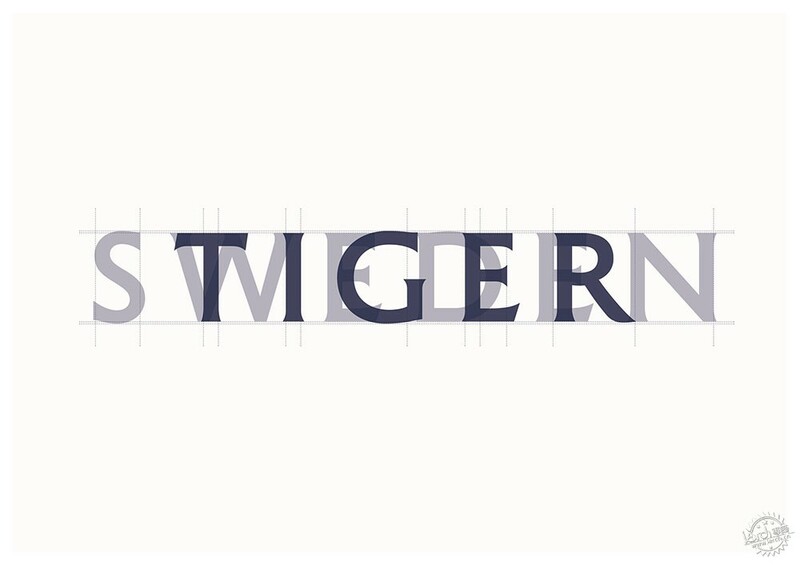 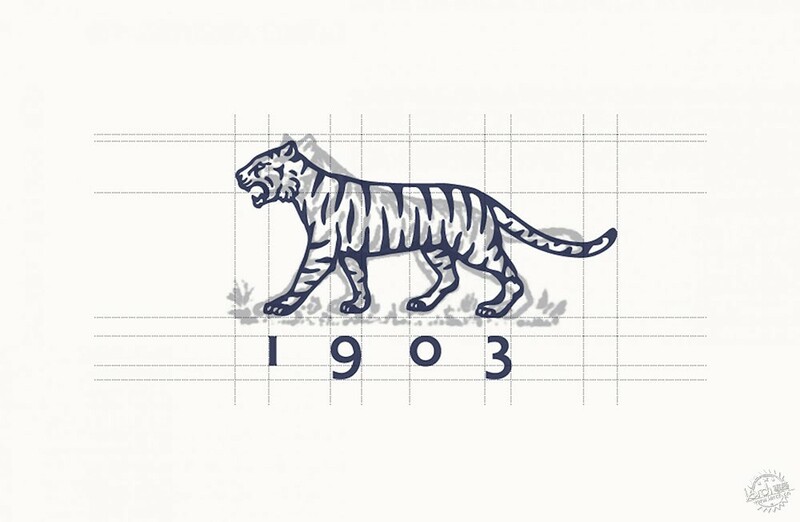 The brand has also updated the old serif logotype with a new word mark that will be sat above the tiger, with the company's founding date placed below. 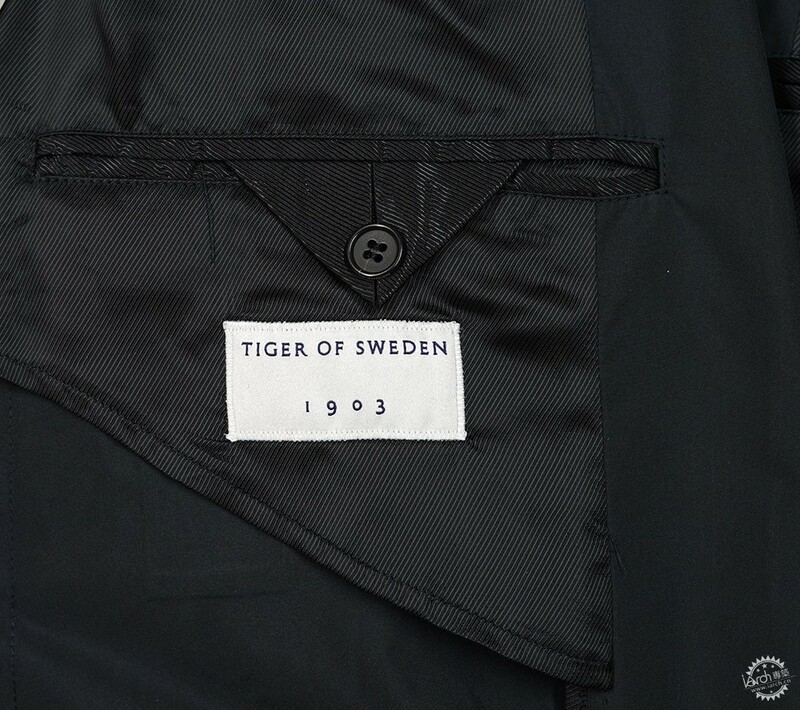 Lundman described the update as "necessary." 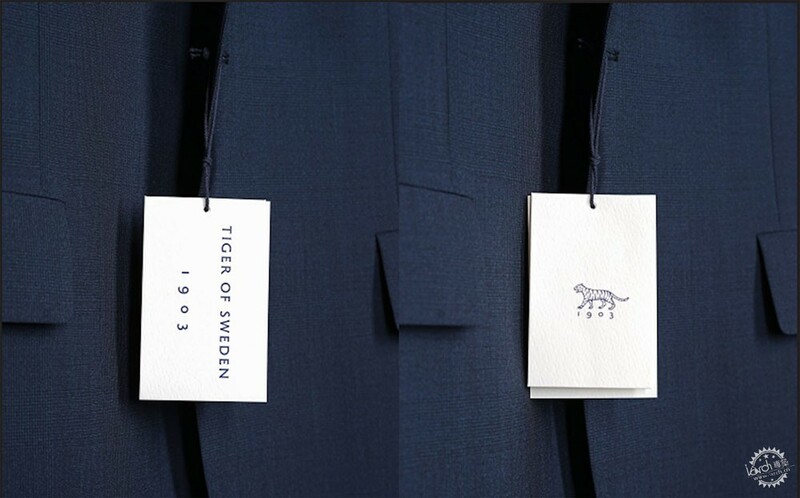 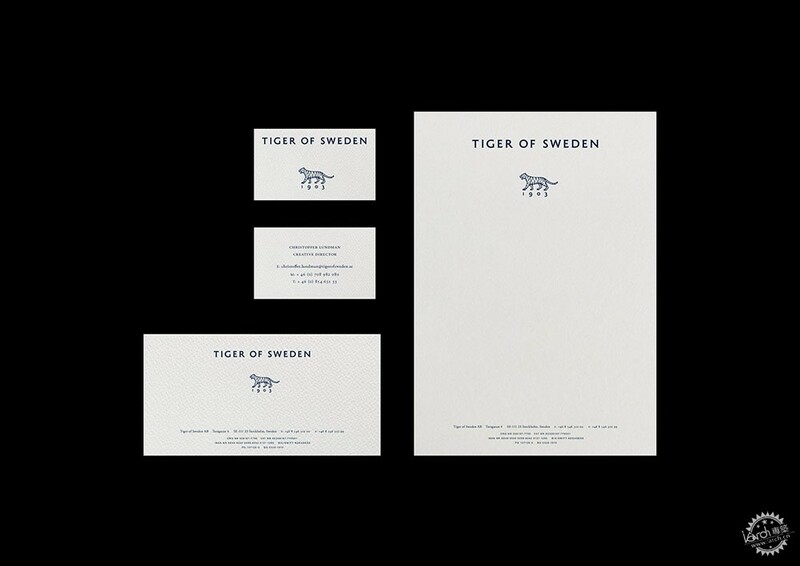 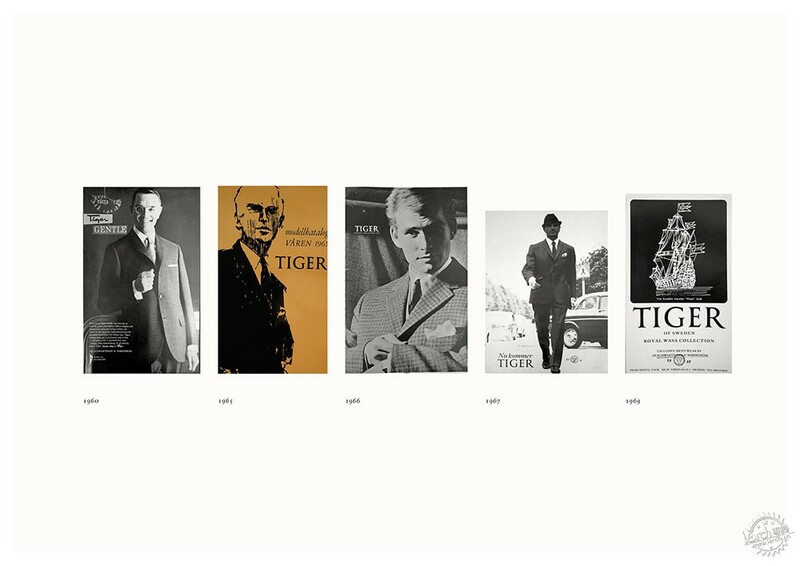 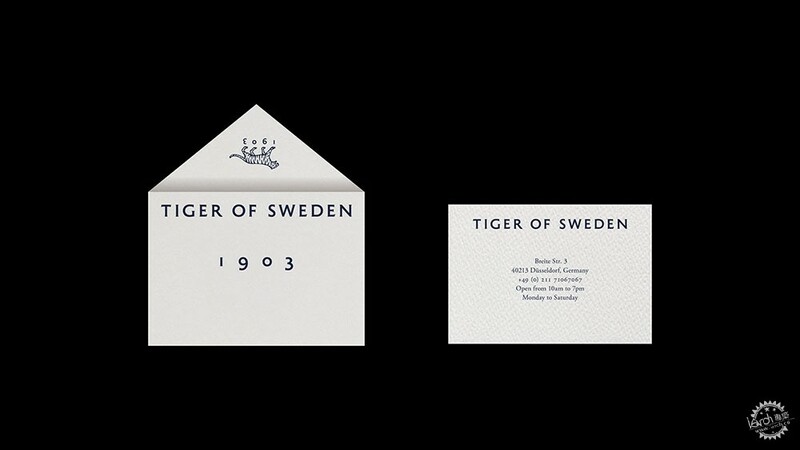 The tiger illustration draws on one that Lundman and A New Archive found in Tiger of Sweden's archives, on the labels for the original range of suits produced in 1926. 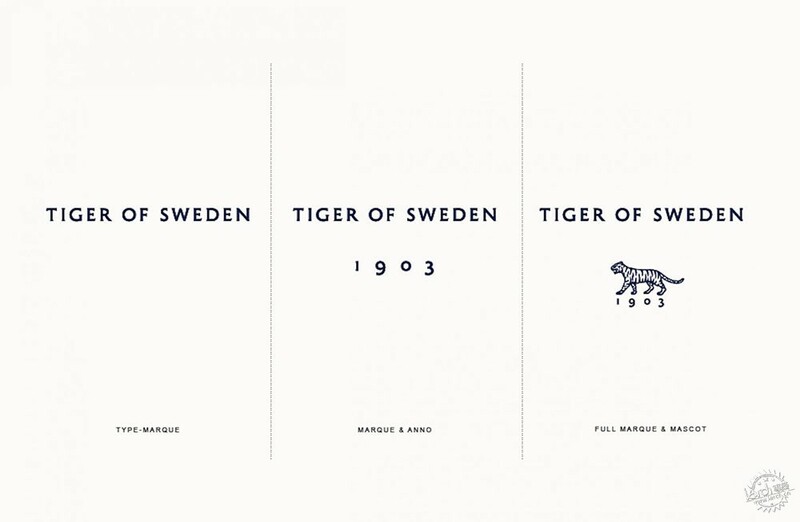 The brand identity was revealed on 14 August and is the first change to the 115 year-old label's logo in 25 years. 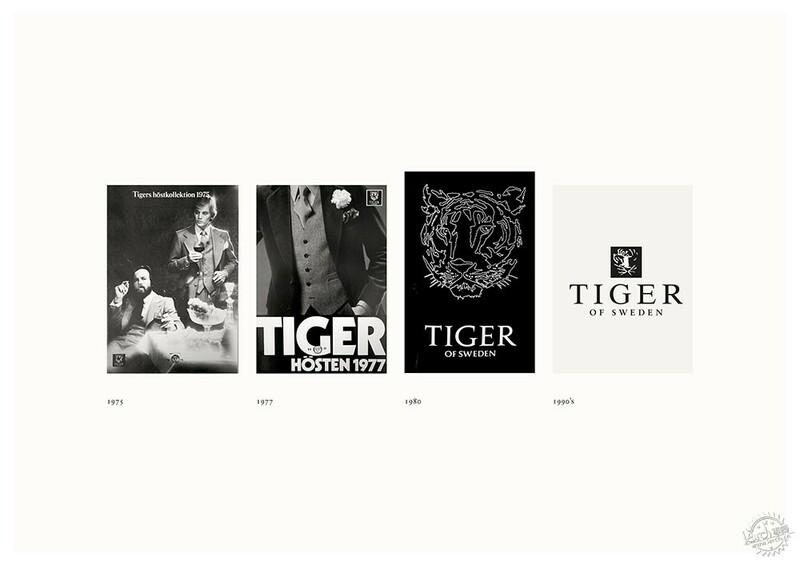 Lundman was introduced to the design studio by a close friend. 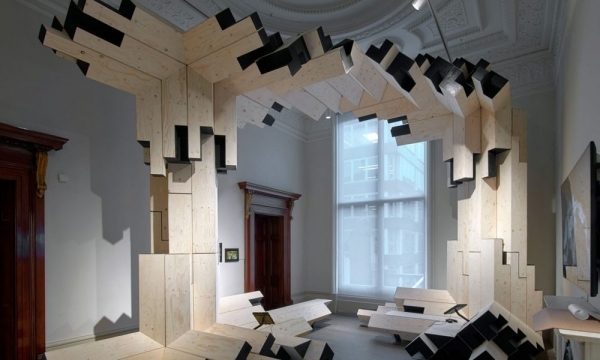 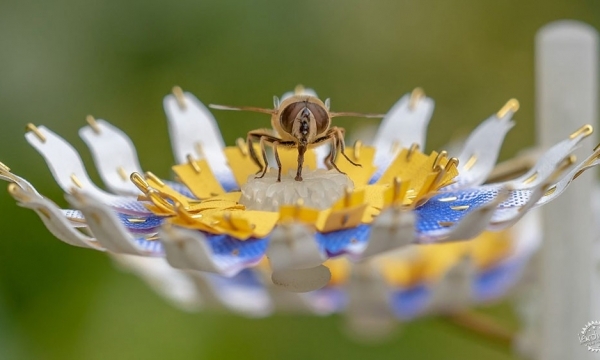 "I was struck by the beauty and clarity of their work. 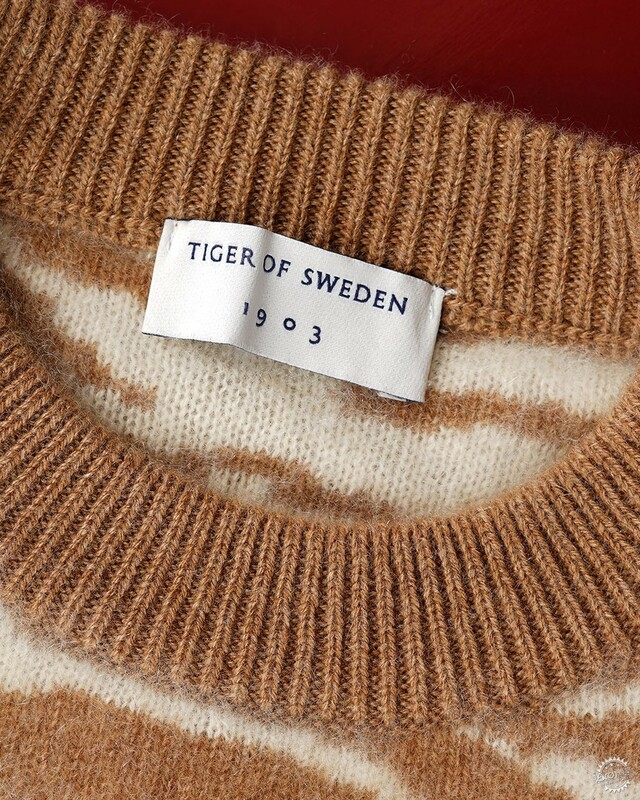 It is precise and well-measured without feeling overworked or contrived. 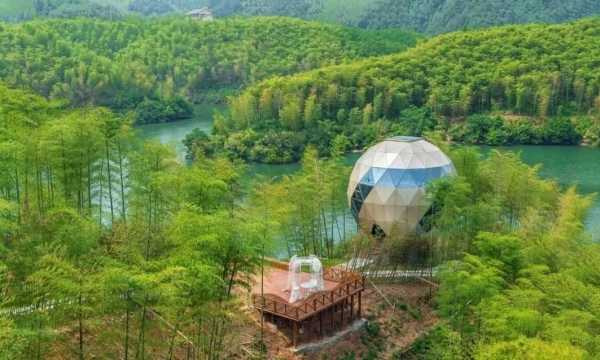 It is very modern," he told Dezeen. 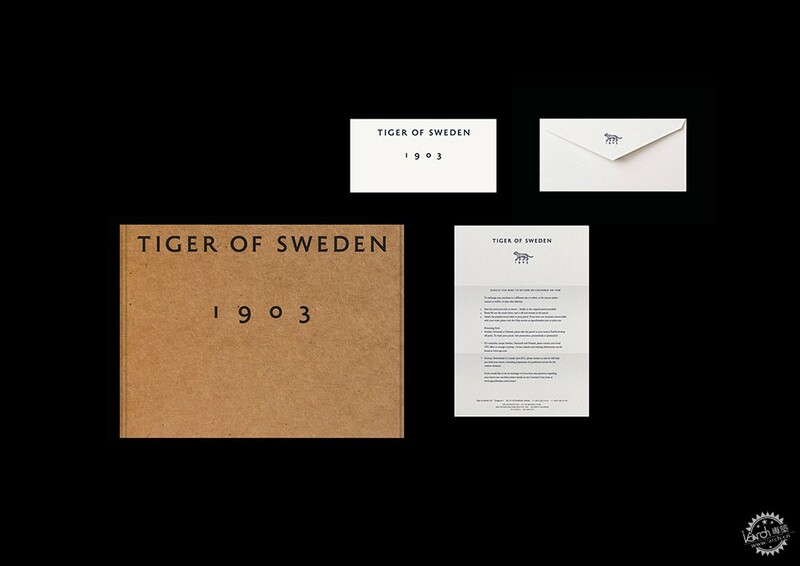 The creative director gave A New Archive a list of libraries, cafes, metro stops and museums in Stockholm to visit as landmarks that "illustrate not only the city but also Sweden as a whole, as a society." 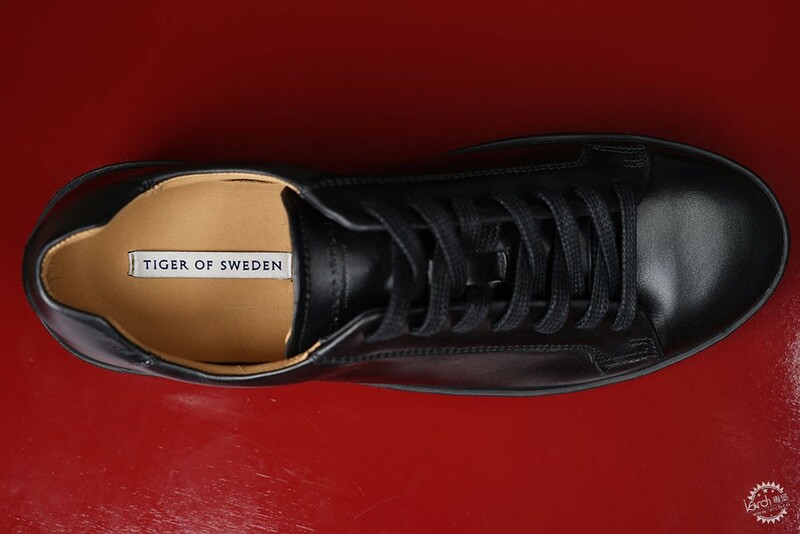 "We have looked at every millimetre of the company today, from the headquarters to the stores, to see how we can communicate better what Tiger of Sweden means in the 21st century," the company said in a statement. 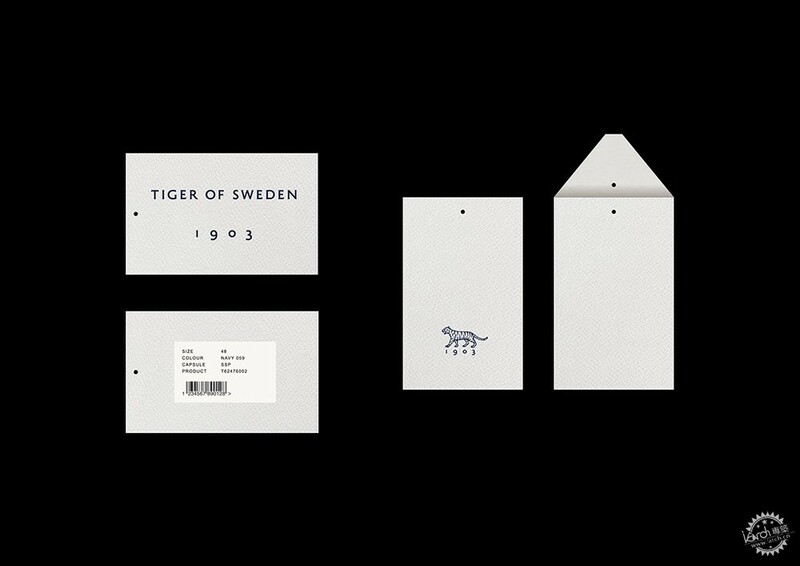 "The new visual identity is about defining that new mood, which is inspired by the heritage and a century’s worth of values and outward-looking attitude." 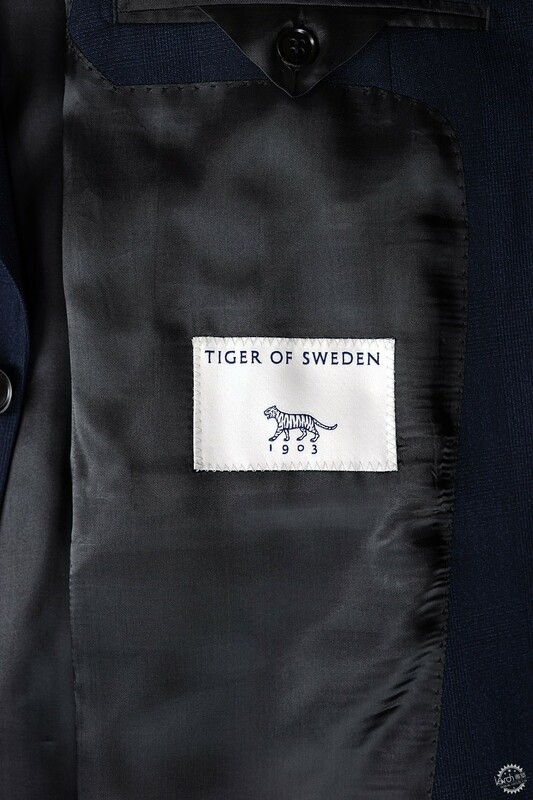 The rebrand "highlights the company's heritage as a quintessentially Scandinavian brand, reflecting the founders' strong belief in equality and democracy – the brand was the first to produce ready-to-wear tailoring in Sweden, making the suit accessible to men from every walk of life," the statement continued. 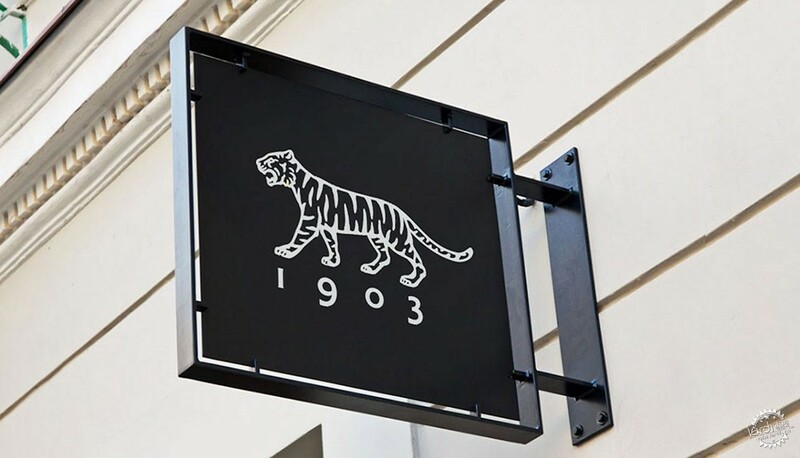 Lundman has aligned the brand's offering across menswear, womenswear and denim for the first time, and the new identity arrives alongside this shake up. 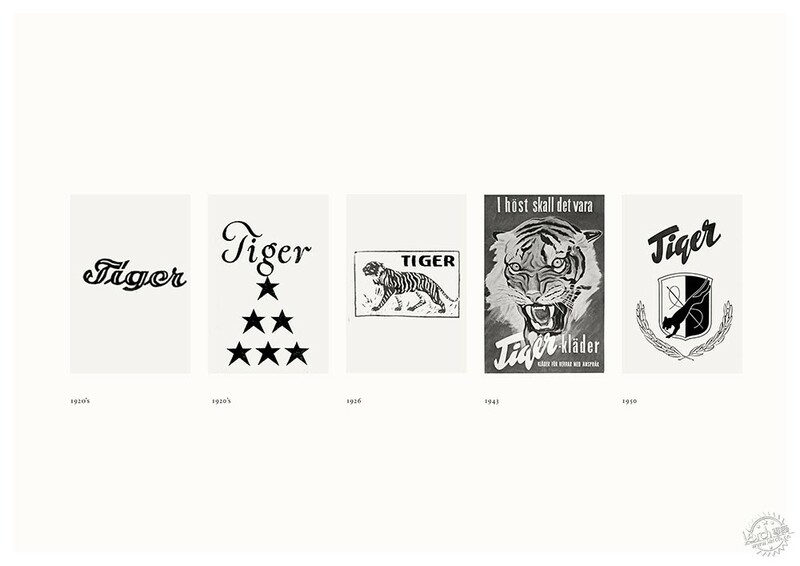 He was previously design director at Burberry, who this month delivered a new logo and monogram designed with Peter Saville, to mark Riccardo Tisco's take over as creative director.